Politicians look for short term fixes. The public has no appetite for "experts". Many practising planners and other built environment professionals disdain academics and say they don't have time to read research. Yet a paper by Xuemei Bai and ten co-authors in the leading scientific journal Nature makes a strong case for a long term scientific research programme on the risks of climate change and their relation to urban development. With cities accounting for 75% of carbon dioxide emissions from energy use they have a strong case. Fundamentally they point to the likely impacts of infrastructure provision in the developing world.To achieve the 2015 Paris Agreement target of emitting no more than around 800 gigatonnes of CO2 in total after 2017 will be hard. "Yet bringing the rest of the world up to the same infrastructure level as developed countries (those listed as Annex 1 to the Kyoto Protocol) by 2050 could take up to 350 gigatonnes of the remaining global carbon budget". This insight is important since planners recognise the vital role that infrastructure plays in making urban areas propserous and inclusive. The paper calls for low-carbon construction, alternative transport modes, and better urban planning and design. Expand observations. We need more data, especially from the rapidly urbanising parts of the world. Policy makers rely on emissions data that is collected at city or even national level, while there is virtually no reliable data from informal settlements, despite their ever-growing significance as part of the urban fabric. Echoing a theme from the Leading Change book, the authors call for the integration of local knowledge with technical data. So often the traditional forms of development cope better with extreme weather events than do the soil-sealed urban expanses of recent times. Scope to develop and link urban observatories sharing real time data, such as that developed by the University of Newcastle-upon-Tyne, is called for. Understand climate interactions. For example, emissions of fine particles not only affects air quality but also influences rainfall. How much permeable paving is needed to lower flood risk, as Melbourne is attempting to do? Mathematical models of climate impacts need to be localised and informed about local capabilities. Study informal settlments. These are often located in vulnerable sites, so adapting them should be a priority, but again the active involvement of the residents and their local knowledge is essential. Approaches from affluent coutnries cannot be simply transplanted. "Keeping land tenure in government hands saves effort in the long run; large networks of infrastructure and public spaces can be planned and built coherently, without having to retrofit poorly designed areas. Informal settlements may have lessons for sustainability. Residents are often efficient at using scarce resources and reusing and recycling waste. Mitigation efforts need to support, rather than undermine, livelihoods and human well-being as well as the informal economy." This could almost be a quote from Leading Change, but is from the paper in Nature. Harness disruptive technologies. Smart city technologies have a part to play, but we need to understand the vulnerability of interconnected, sensor-driven and algorithm-based information sytems to climate instability. Planners are likely to concur with the proposition that "Vegetation corridors, green parks, reed beds and low-lying areas that soak up water can be woven into the built environment to reduce flood and heat risks, while improving biodiversity and carbon storage." However, the paper contends that "More needs to be known about the long-term performance and management of such features." Support transformation. Research is needed about how to change residents’ lifestyles and consumption patterns, through policies and incentives, so that we create zero-carbon neighbourhoods and cities. 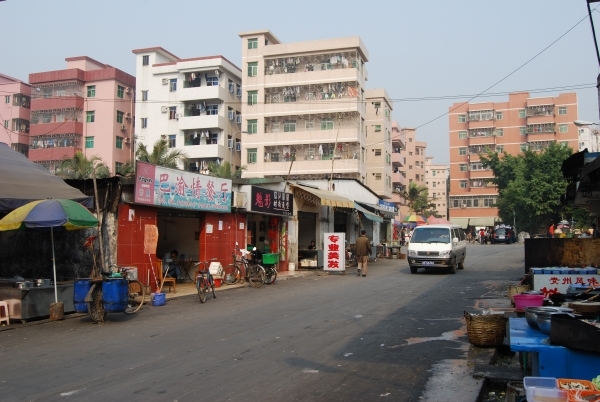 China's "Sponge City" approach may have lessons. A start is to find and scale up successful local innovations. Recognise the global sustainability context. This includes researching the system-wide impacts of urban developments - what happens where they are implemented, but also how their effects ripple through other places. Displacement, synergies and trade-offs are important concepts. This is not just a challenge for researchers but also for practitioners, who too often have to operate in depatmental or statutory silos. A Scientific Advisor for each city? The proposal that cities should establish scientific advisory boards, chaired by a Chief Scientific Advisor is innovative and provocative, but timely. There remains a lacuna over the global significance of urban development and its relationship to climate change, but also to poverty alleviation. Planners and urban policy makers need to tap into research networks. At the moment in much of the world their decisions are more significantly shaped by the influence of developers and crude conceptions of supply and demand. A new respect for research and new partnerships between citizens, professionals, politicians and researchers is the way forward.